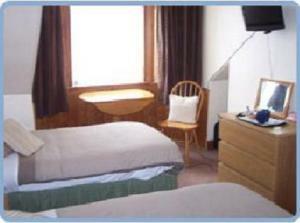 Ivydean B&B is ideal for Prestwick Airport and Ayr town centre. Newton-on-Ayr railway station is nearby and has a regular service to Glasgow and to Prestwick Airport. If travelling by car, Prestwick Airport is a 10-minute drive away. Each room is furnished to a high standard and comes with Freeview TV and an en suite bathroom. There is a residents' area overlooking the garden where you can relax.